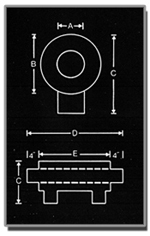 The Model 600 is a patented venturi system which allows objects to be moved further than the Model 100. The ideal solution for long distance conveying of finished or semi-finished products, the Model 600 works well with hand-feed or auto feed operations. 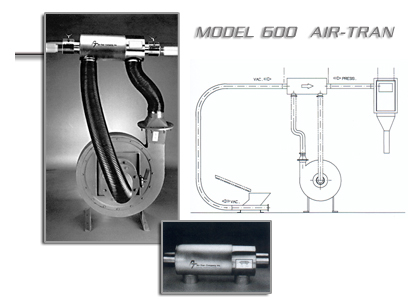 Utilizing both negative and positive air flow, parts are conveyed from the pick-up by vacuum to the Model 600 and then blown to their destination. A variety of blower styles and throttling valves can be used to best fit your particular application. With the addition of an in-line diverter, the Model 600 is capable of delivering a variety of parts, such as plastic caps or paper trim, light bulb bases or plastic syringes, to more than one receiving area.